Affilaites can access presentations from our Facebook page. 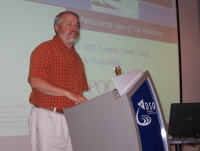 The Chapter conducted the 2nd run of Dr. Rodney Simmons’s course on “System Safety Analysis Techniques” in Dec 2009 . Response to the course was overwhelming and there were many in the waitlist for the next run that would be held from 25th to 27th January 2010. 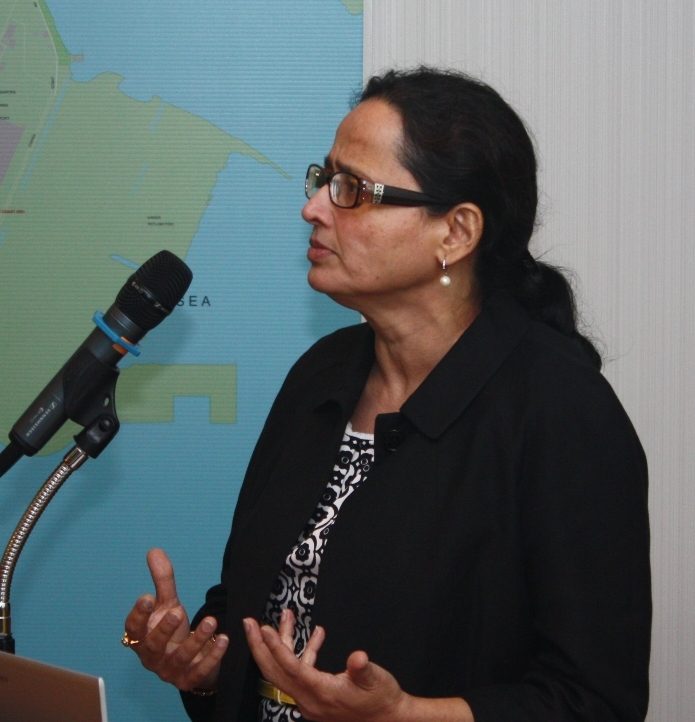 The Chapter had injected a short session on local practices. Fan Yue Sang and Siow Seet Ting presented on preparation for an effective hazards brainstorming for PHL from the contractor’s and supplier’s view and the systematic development of Fault Tree from System Functional Flow. The course was well received and participants feedback that they would recommend their colleagues for this course. Seet Ting, our new President of Singapore Chapter gave an overview of the goals of the System Safety Society and Singapore Chapter. She introduced the new Chapter Executive Committee (Exco) appointed in August 2009. Seet Ting welcomed safety professions to sign up as members of the System Safety Society and as affiliates to the Singapore Chapter. Members and affiliates should also plan ahead to participate in sharing session and the International System Safety Conference. Eng Ling introduced the much anticipated GEIA-STD-0010, Standard Practice for System Safety Program Development and Execution. She made a comparison between this commercial standard and the MIL-STD-882D. The methodology of system safety is generally the same although there is regrouping of some requirements. She share the developments that lead to the publication of GEIA-STD-0010. As for the popularity of GEIA-STD-0010 henceforth, we will have to wait and see. Yue Sang shared the impetus and benefits of certification of safety professionals. These include recognition of individual achievements and sustainment of competency, self esteem and need for a basis of hiring competent safety professionals. He gave an overview of several certification programs and mooted the possibilities and implications of implementing them locally. Yue Sang shared the “Lead Service” approach for US safety review of Joint programs. We have a similar risk management framework in the SAF. There was however an additional step of safety endorsement by a technical forum before consideration of risk acceptance in the Singapore context. There is a slight complication in that the technical forum may not be in the same “Service” as the risk acceptance authority. 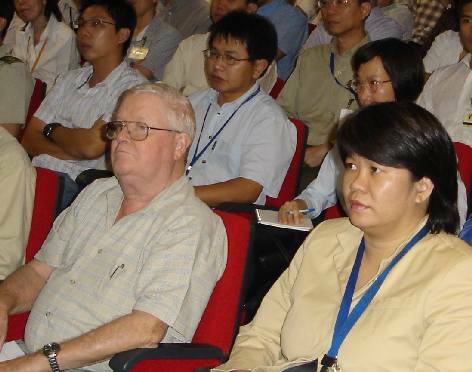 The inaugural International System Safety Regional Conference (ISSRC) 2008 was held in Novotel Clarke Quay, Singapore from 23 April to 25 April 2008. The conference was a success both in terms of the technical sessions and in the conference activities. We look forward to have similar events in the region in future. 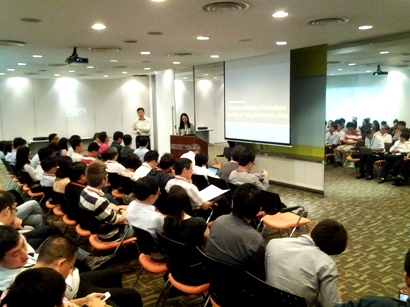 More than 60 affiliates attended the sharing session on 22 May 07 held at the DSO National Laboratories. The highlight of the session was Steve Mattern's introduction to guidelines for unmanned systems. Chapter President, Michael Tan gave an update of the Chapter goals and and achievements over the past two years. 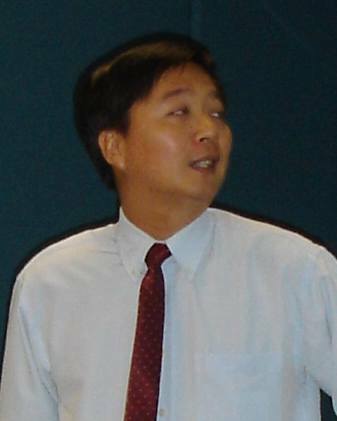 Exco Member Fan Yue Sang gave an introduction to the forthcoming 25th ISSC and the International System Safety Regional Conference (ISSRC 2008) to be held in Singapore in 2008. Yue Sang invited system safety practitioners to freely exchange ideas, comments and issues on their system safety experiences in our future sharing sessions. The Chapter viewed a recording of Chief Defence Scientist, Prof Lui Pao Chuen's Luncheon Speech to the 24th International System Safety Conference held in Aug 2006. Prof Lui gave the background on the development of the defence in Singapore and decribed how system safety has become an important part of the defence eco-system. Steve conducted two sessions of System Safety Management Course (16 Apr 07 to 20 Apr 07 and 23 Apr 07 to 27 Apr 07. 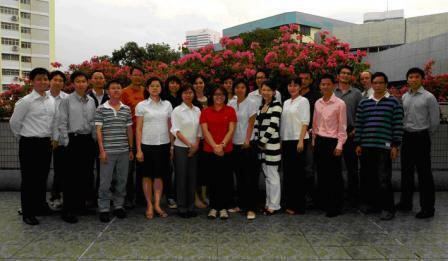 The course was organised by the Singapore Chapter, System Safety Society. All sessions of the course have been popular and well received. About the Course. The courses each encompassed 5 days of instruction based on the content described. See details. About the Trainer. Steve Mattern has over 22 years of experience in systems integration, safety engineering and safety risk analysis in ballistic missiles, military aircraft, military ships self-defense, space systems and commercial navigational systems. He is the integrating author of the Software System Safety Handbook for the US Tri-Services under the direction of the Joint Software Safety Committee and currently leads a team of design, test, software and safety engineers in the performance of systems, safety, and software engineering for US government and commercial customers. A sharing session on "Software Safety" was long due as there have been many affiliates had been seeking a baseline of knowledge on this subject. Thanks to our volunteer speakers, we put together a sharing session on 1 Nov 06 on this theme and it commanded a lot of interest. During this session, Fan Yue Sang shared the highlights and key developments at the 24th ISSC. Chief Defence Scientist (MINDEF) gave a luncheon speech and Rodney Tan (DSTA) presented "Safety Culture in Defence" at the conference in Aug 06. Yue Sang also informed of the interesting developments of conducting a "Singapore Track" and "Asia Pacific Track" at the 25th ISSC. Back on the theme and subject of "Software Safety", Ronald Tan (Singapore Technologies Aerospace) gave a clear overview of and motivation for software safety. He identified the approach techniques for software safety and identified the challenges of working with SOUP. Leonard Chia and Roch Cyril (DSTA) skilfully illustrated their presentation of "Developing Safe Software" with their project experience. They highlighted essential steps in software safety and highlighted techniques that work and those that are not effective. Lian Tian Tse (DSTA) delivered a convincing presentation on "Software Safety - Back to Basics". 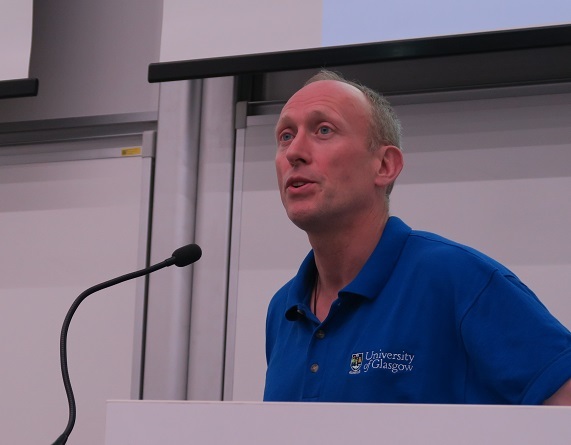 He identified the key role of the DSTA Software QA and Testing is to help software developers identify weaknesses in the software as early as possible so that the developed product would eventually be robust. There was not a dull moment during this sharing session and indications are that our presenters have conveyed valuable information for people who work with safety critical software. All presenters have shared their presentation materials in the affiliates' area. Log in to view. The Chapter held a sharing session o 11 Jul 06 durng which the current website was launched. 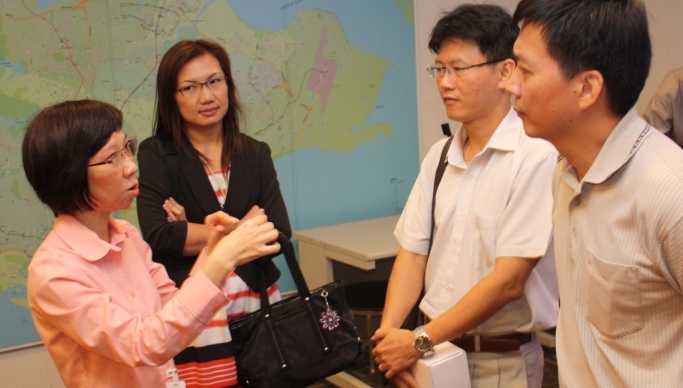 Ms Ee Siew Fong of Land Transport Authority (LTA) shared the LTA Hazard Management System with affiliates. The centralised database was used to track hazards from preliminary hazard analysis (PHA) and the database could be viewed both by staff and management. The benefit of the shared database is that it provides an updated and consistent safety management information for all levels. Mr Damos from the Singapore Institution of Safety Officers (SISO) conveyed the essence of the new Workplace Safety and Health Act that came into effect on 1 Mar 06. The principles of the WSHA was to reduce risk at source and promote industy ownership of standards and outcomes. These principles are consistent with system safety and the topic drew lively discussion during the session. Mr Fan Yue Sang followed on to give a system safety interpretation of the Workplace Safety and Health Act. View the presentations in the Affiliates' Area. The Singapore Chapter held a System Safety Seminar on 10 Feb 06 at the auditorium of the Defence Science & Technology Agency (DSTA). The seminar concluded with a networking buffet dinner. The seminar saw the highest attendance with more than a hundred participants. They were from DSTA, Singapore Technology Engineering Subsidiaries, Ministry of Defence, Defence Science Organisation, Ministry of Manpower, DNV (Singapore), Land Transport Authority and others. 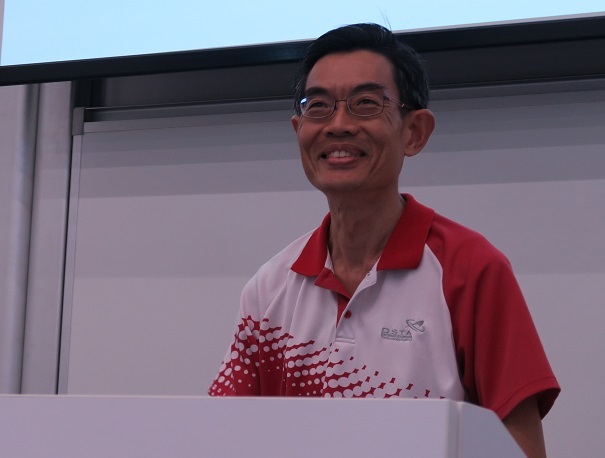 During the Q&A time, it was clear that there was substantial interest in software safety and the Chapter President, Mr Michael Tan, suggested that the next sharing session focus on the subject. Ms Audrey Lao, DSTA on her project experience in �Assessing Submarine Explosive Stowage Risks�. Lt Col (Ret) Keith Cook (MBE), System Design Evaluation Ltd (UK) on �Legacy Munition Safety Case Report � Lessons Learned�. Mr Fan Yue Sang, DSTA on �Operationalising System Safety in DSTA�. In response to interest from the local defence community, the Singapore Chapter organised two five day System Safety Management Courses in Feb 06 in collaboration with the University of Washington. Sixty participants from DSTA, Ministry of Defence and the local Defence Industry attended the courses. Participants were pleased with training. In particular, they cited their learning of hazard analysis and application of fault tree analysis. 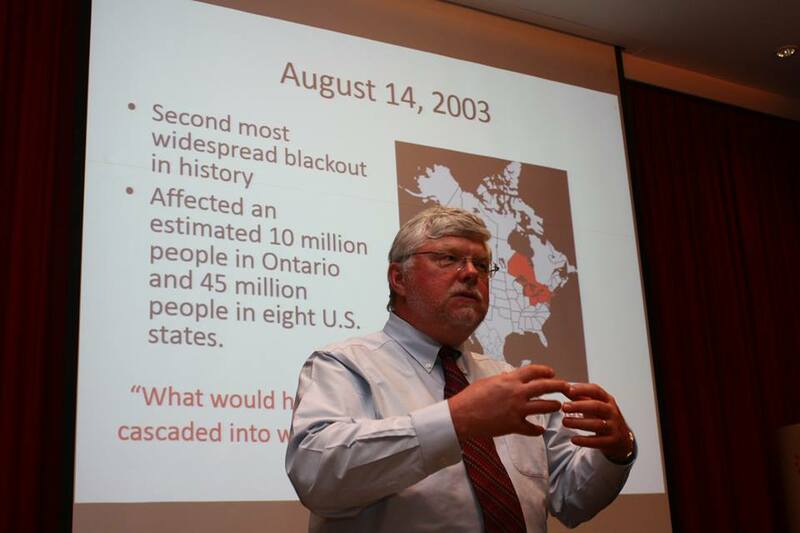 Participants were also grateful for the Steve’s sharing of numerous examples from his experience. The training culminated with the tinker-tanker hands on exercise that brought system safety principles to live. No one would deny having gone away from the course with a greater clarity of system safety … and everyone enjoyed those entertaining video clips. For members who are still seeking “exercises” that depict systems in their real work, please step forward to offer your systems. In fact, the tinker tanker was brought in to suit participants of earlier courses. Regardless, Steve did not fail to portray the principles & processes of system safety through these exercises, regardless of the example used.